Thrill the World is Ocala’s largest fall event that takes place every year on the Ocala Downtown Square and this year, has extended to Citizen’s Circle. 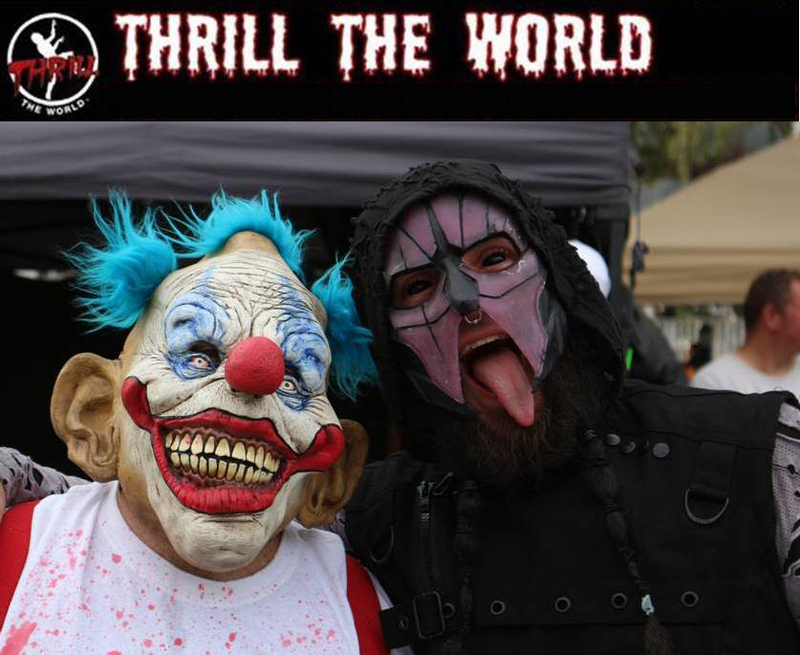 This year Thrill the World will be held on Saturday October 21st from 4pm-9pm. More than 5,000 people come out and enjoy all the fun and activities which include over 100 vendors, food trucks, bounce houses, haunted house, DJ’s, music/dance party, booth trick-or-treating, and of course, the flash-mob-style-dance to Thriller. Every year, Funky Zombies gather to dance to the greatest selling record of all time in hopes to break the former Ocala record with the number of people dancing. VENDORS: direct sale vendors, homemade crafts, food trucks, medical offices/spas, banks, insurance companies, realtors, and other miscellaneous businesses that would like to showcase their products and services. Vendor space is only $100. Spaces are selling out fast so do not delay in registering (completing application & payment). DANCERS to dance to Thriller. The fee to join is $5 in advance, or $7 at the event. There is no age limit to join and no experience is necessary-just come and have fun! The goal is to break the Ocala record for the most dancers performing Thriller. Extensions Dance Studio will have two free practices — Wednesday October 18t and Thursday October 19th at 6:45 p.m.
You can also read the article and view photos for Thrill the World 2015 and Thrill the World 2016. If you are not familiar with the event, you can watch Thrill the World 2015 Thriller Dance. Come join the dance! Just Entertainment, Inc. is a non-profit organization and proceeds from this event will benefit local children of the Arts. For more information on becoming a Vendor or registering as a Dancer, please contact Chrissy Durning (Volunteer) at info@thrilltheworldocala.com. You can also go to www.thrilltheworldocala.com, or visit the Facebook Event Page at https://www.facebook.com/events/301906213571132/ or the Facebook Page at https://www.facebook.com/thrilltheworldocala/.